A great guide for the beginning collector. Small size edition, easy to carry on pen-hunting trips. Limited to the more common pens due to space. Includes a price guide. A large, lavishly illustrated book, considered by many the “bible” of pen collecting. 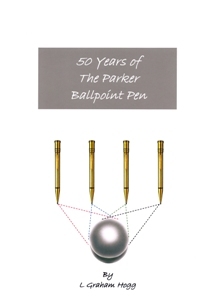 Includes all the big pen manufacturers and most pens from the very rare to the very common. Known also as the “Blue Book” because of the blue cover of the first edition. A well done, well illustrated book, in a very affordable price range. Full of information for the beginning as well as the advanced collector. New edition due in the Fall of 2004. The second edition of this well illustrated book. With lots of new pictures and a section on modern pens. Price guide. A book with beautiful illustrations with lots of historical background. Ballpoint pens are fast becoming very collectable. This book reviews the early development struggles and is very nicely illustrated. Includes a price guide.